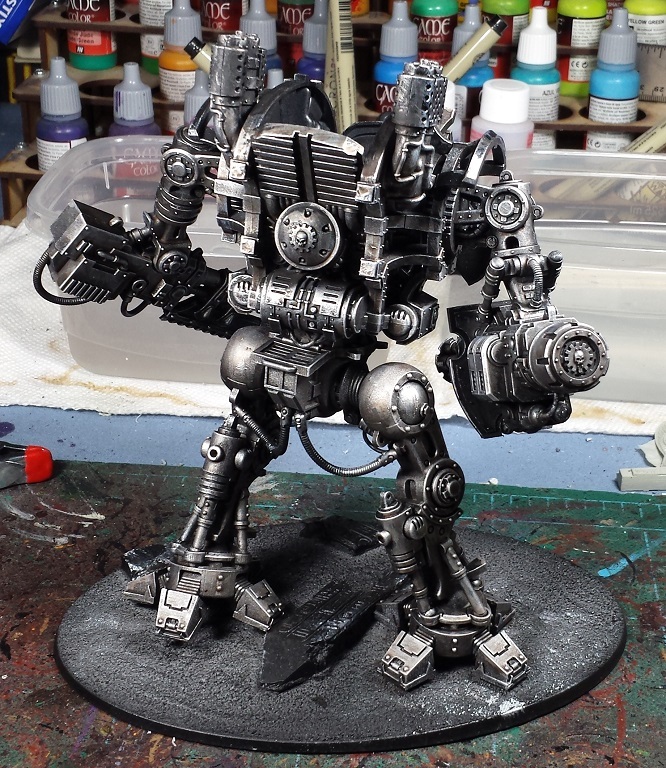 Mordian 7th Regiment: Heresy Era Mechanicum - Knight Warden painting begins! 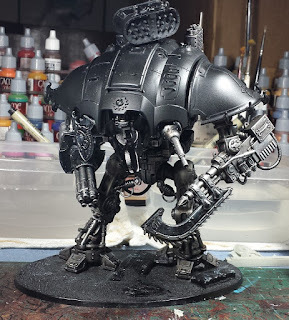 Heresy Era Mechanicum - Knight Warden painting begins! Managed to get the knight warden built and primered over the last couple days and broke out the big brushes to start laying in the metallics on the endoskeleton. All the various parts are separate to facilitate the painting process but reassembled it as much as possible for some photos. 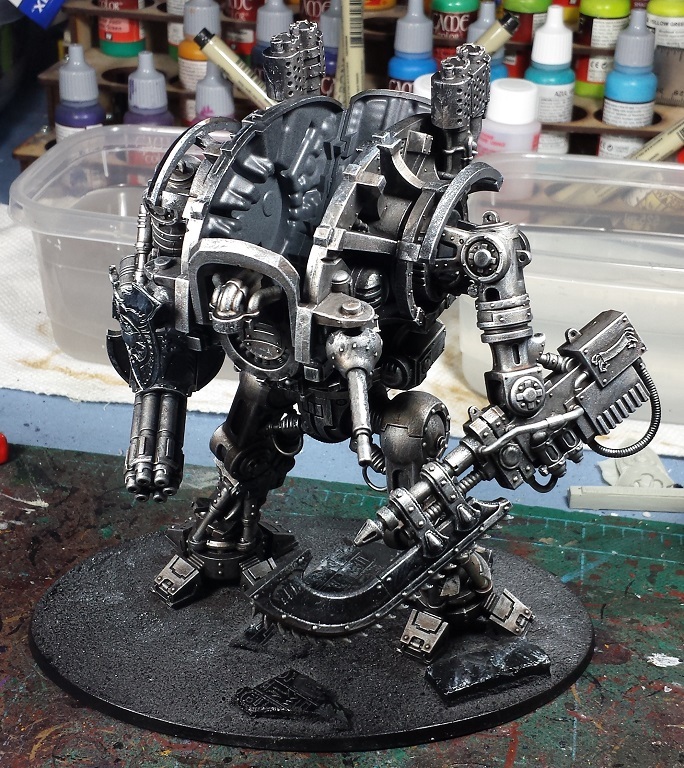 Fairly straightforward recipe - Started by blocking in everything with a very heavy drybrush of boltgun metal, then a medium drybrush of silver on the upper surfaces. 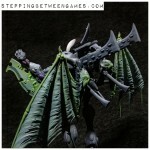 Once that was done the whole thing was mopped down with Agrax Earthshade which gives it a nice oily greasy look. The next morning once the wash had thoroughly dried it got a light re-drybrushing of silver to brighten it back up and bring up the edges a bit. Added in a few more armor plates and it's starting to look pretty cool. It's a little top-heavy without any of the leg plates on, but I'm liking how it's turning out. The next painting stages should start adding in some color - plenty of blues, yellows and golds! @Zab: Indeed! Rather liking the look for that very reason!